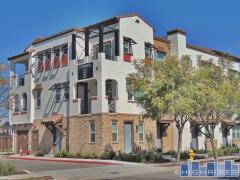 Willow Glen Place is a newer (2007) luxury condominium development close to the highways in the Willow Glen area of San Jose. The homes at Willow Glen Place feature luxury amenities like granite slab counters, rosewood cabinets and private terraces. Building amenities include two large courtyards with an outdoor fireplace and zen garden, swimming pool, fitness center, spa, kids playground and underground gated parking. Have any comments or questions about Willow Glen Place? Ask your question and/or share your thoughts about this Building. Hi Monica - If you are interested in renting in this complex the best place to search is Craigslist as all the units are individually owned and rented. If you are interested in buying here I would recommend that you scroll to the top of this page and click the (Create a Condo Alert) button. This will send you updates the minute a new For Sale condo comes on the market. P.S. We do not send any spam! Does this complex have any rentals available? Hi Mary - Sadly I do not have a listing for a rental at this location. Looking at some historic rental rates show the two bedrooms renting around $3,200 per month now June/2015. - If any owners are interested in having a professional team to manage your properties simply give us a call. 408-216-2090... Check out our management reviews on Facebook. Do you know if Willow Glen Place (or other SJ or Campbell condo complexes), if their CC&Rs allow 2 small dogs?